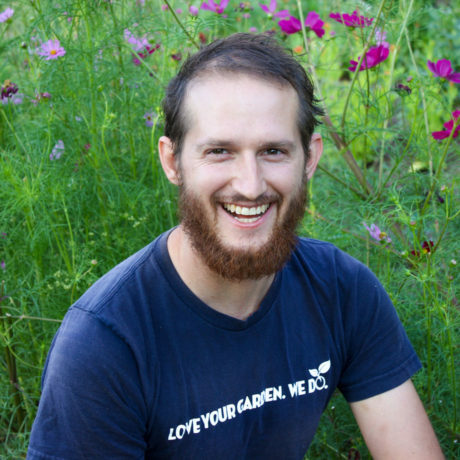 Kenton comes to gardening from a career as a visual artist with an appreciation for the juxtaposition of wild, uncontrolled, and organic forms with the geometry and method of gardening. He also comes with a cheery disposition that’s downright contagious. Make him your friend, and he’ll make you a pair of socks (and a matching pair for himself that he’ll name after you.) His inclination to nurture budding relationships (and his amazing sense for color) translates well to his role at Spotts, where he’s digging into organic gardening and opening our eyes to new visual surprises in the landscape.